A property developer has admitted to playing a part in a $50 million mortgage fraud case. The Serious Fraud Office (SFO) has confirmed Kang (Thomas) Huang on December 20 plead guilty to a raft of Crimes Act charges of obtaining by deception, one Crimes Act charge of dishonest use of a document and one Secret Commissions Act charge of corruptly giving consideration to an agent. The pleas follow SFO allegations that Huang and his three associates fraudulently obtained money to buy 76 properties around Auckland and Hamilton. The SFO accuses the group of providing false information, or withholding information, from either BNZ or ANZ to get loans to buy properties between December 2011 and October 2015. While Huang is due to be sentenced on February 9, his associates maintain their innocence, so will be trialled by judged from February 26. The trial is expected to take 12 weeks. Jiang faces 25 charges of obtaining by deception, which allege he unlawfully obtained $17 million. He also faces one representative charge of corruptly accepting consideration as an inducement or reward, involving $235,000. Former lawyer, Gang (Richard) Chen, faces 11 charges of obtaining by deception in relation to allegedly obtaining $47 million, and one representative charge of corruptly giving consideration to an agent involving a $511,000 payment. Meanwhile Huang’s wife, Yan (Jenny) Zhang, faces 34 charges of obtaining by deception. The SFO alleges that by virtue of her offending, she unlawfully obtained funds of about $30 million. Huang is behind the now defunct Green Gardens Finance Trust - a company the Financial Markets Authority in July 2015 made its first ever Stop Order against due to it offering investments illegally. And a bloody nother one making a mockery of NZ laws and regulations. Those "houses" in Tamahere should never have been approved, there are two more of the monstrosities on Gordonton Rd. These houses turn into an unmaintained eyesores, especially if the students stop coming. Which is worse, an unmaintained leaky monolithic clad home next door or one of these with 16 cars packed in like sardines! Did the 5 uncompleted houses ever get finished? Three don't have roofs or covers, the framing timber discoloured from exposure to the elements. The wooden framing, which is treated for interior use, is left exposed to the elements. The boron treatment used to protect interior timber is water soluble and can slowly leach out if exposed to the rain. That can increase the risk of fungal and insect damage to the frame later on. Timber can also swell and warp if it gets wet. 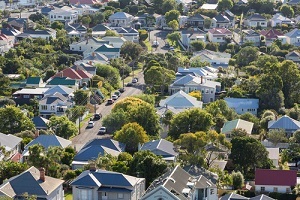 Sue Duignan, general manager of customer support at Waikato District Council said neighbours had raised issues about the properties with her. If you allow in immigrants from countries where there exists high levels of corruption then it should come as no surprise that corruption will increase in your own country. It is a cultural thing unfortunately. Laws need to be vigorously enforced. Immigrants should be advised early on that corruption is no joke. That said you would think, as a mental exercise, it would have been jolly sensible to only allow immigration from countries that are similar to your own in regard to rule of law. Decisions concerning immigration should be business-like. A country should not operate as a charity for other countries. Businesses don't act as charities for other businesses. New employees are chosen for their credentials and experience. Someone born and bred in a society with high rule of law has been trained since birth as a good citizen. After all every poverty stricken country has lax laws, or no law, lawless even, as well as super rich individuals who seem to care not a jot for their own people and will put on multi-million dollar weddings for their children while countrymen starve in the street. No, it should be strictly business, focusing on what is beneficial to your own people or in a sense the health of your most important business, the welfare of your own people. This would allow every country to be potentially eligible as an immigrant source if they improve their scores. It's entirely up to them. So I propose only allowing immigrants from countries that are higher up then you on the Rule of Law index as well as those that are within 0.1 point below. Currently for NZ which has a score of 0.83 this would be in order of best to worst, Denmark, Norway, Finland, Sweden, Netherlands, Germany, Austria, Singapore, UK, Canada, Belgium, Estonia, Japan, Hong Kong, USA, Czech Republic and South Korea. Of course rampant globalization has meant that many citizens of these countries are not natives so it should probably be restricted to those who have parents who were born in their respective countries. Of course this would be entirely unacceptable to those that run things however I'm pretty sure if things were run by an A.I super-computer this model or an even stricter one would be followed. However they seem to have no problem with wealth being a determining factor. My theory is on par with the current system where you need a visa to visit certain countries. If you don't need a visa you are regarded as coming from a country with a high level of rule of law. The EU was based on this model as well as the Commonwealth. You are being a little hard. I have heard both Indian and Chinese immigrants (now good honest Kiwis) express the view that when immigration was opened up to all countries not just UK that NZ had been very naive in their processing. To quote my Indian friend "They let in the wrong Indians". I can remember my own immigration application in 2003 and they were so troubled by what colour pen you used and every missing full stop and whether Scottish police had access to English crime records that I actually thought they were highly diligent. That opinion changed when that unfortunate African immigrant was killed by a lion and the papers reported him as being from a different African country and being 8 years older. Yes immigration should up its game; especially in reporting on its performance - wouldn't you like to know how many 'skilled' workers are earning under the national average wage after say five years of arrival? Or how many immigrants have never made an IRD return - surely a guide to criminal activity. However what is past is past so be guided by Matthew in the Bible "" The kingdom of heaven is like a man who sowed good seed in his field; but while men slept, his enemy came and sowed tares among the wheat and went his way."" "Yes immigration should up its game; especially in reporting on its performance - wouldn't you like to know how many 'skilled' workers are earning under the national average wage after say five years of arrival? Or how many immigrants have never made an IRD return - surely a guide to criminal activity"
As a retired database programmer I reckon on my very average PC I could match all half million granted permanent residency with IRD reported earnings if there is a link between IRD No and Visa application (and there should be). It would take a few minutes looking for unexpected mismatches (say any immigrant who has earned less than $25,000per year). Then you eliminate retirees and children and dead and left NZ and what is left would be interesting such as last years drug trafficker who had been resident for a decade and never had a tax return. I'm sure it can be done with any PC that has Microsoft Excel installed using filters, maybe they don't know how to use Excel. Use MS Access and the free version of MS/SQL - incredible what they can do - I've searched 17million aircraft parts almost instantly. Just using surname and DOB would get interesting results. Some exciting things these days on top of those are the cheap availability of both multi-core desktop computing (8+ cores) and online database processing by volume/transaction. You can do quite a lot and very quickly. The inconsequential consequences of engaging in corruption in NZ is the joke. There is nothing in the article that says the parties involved (not all proven guilty to date) are Chinese immigrants. Politicians get into trouble if they make a deduction based on surnames. There have been people of Chinese origin living in NZ for a very long time. One of my friends is 75 and born here but 100% Chinese - more accurately that is 110% Kiwi but of Chinese ethnic origin. I'd be willing to bet money on it. You? Yes I would bet on it and accept quite long odds. However no proof to date. And even if you and I lost the bet it wouldn't negate the point that Dept of Immigration has been negligent in the past. That does seem a little harsh Zachary. Weren't you the one praising NZ for being able to attract millionaires in a recent previous property articles? Or is it that we're just a convienant bolt hole for money laundering and financial corruption. Perhaps we're attracting the wrong type of millionaire who prefers to game the system. Man, that was a good comment thread. He he yes, you could be right Nymad. But some how I don't think they would care just as long as Elysiums property prices kept rising. "Of course this would be entirely unacceptable to those that run things however I'm pretty sure if things were run by an A.I super-computer this model or an even stricter one would be followed." You no nothing about neural networks, then, ZS. The models used to simulate human outcomes in the way you imply would not built based on a singular constraint of low corruption. An A.I. that was developed to protect and develop a nation is likely to develop fascist tendencies. This is actually a serious concern for A.I. researchers. Oh yes, only the truebluekiwis are like unicorns shitting with rainbows. Every other person not from a list is dodgy, greedy, corrupt and should never be allowed to enter the humble land of pure honesty, humanity and high morale standards. Clearly there is a need to improve some arrivals ethical compass. How about a rule that has a 10 year window and revokes citizenship, seizes any assets, and replaces it with a one way ticket back to their original source? I think it is something like that in Switzerland. Or was; someone told me even a minor car crash is enough to get you expelled so many of their immigrants employed chauffeurs. That is how I would go about it, and I also think that when the Key govt in 2011 opened up the investor status for immigrants to residential property the writing was on the wall for this sort of thing. Personally, I despise the whole idea of someone being able to buy their way into the country. I'd rather have the ordinary folk seeking a better life for themselves, like as I seem to always be drawn back to, the owners of a cafe in the Glenview mall in Hamilton who have a piano out front, where, in between serving etc, she sits down and plays for the customers, introduces us to the music of China. That sort of thing I will welcome any day of the week. @Zachary Smith ..... so you and Donald Trump both only want immigrants from the likes of Norway then ? I am so sick of reading about these types of immigrants abusing and ruining my country. For the love of God stop them coming here. You would hope that this is a one off case or maybe more of this is going on in this country. Investigation might be required for more mortgage fraud. House , sorry "Investment" is up for "Mortgagee Auction' a bargain...for some poor unsuspecting soul. Wow Fifty Million Dollar fraud . They should serve their sentences on the Kermadec islands , preferably without blankets . To save it costing us another $100,000 a year to keep them in prison , feed them and have them watching the full suite of over 100 CCTV channels out of China , at my cost , they should be imprisoned on the Kermadecs . We can ill afford to have such rogues wreaking havoc with our housing market ,Can you imagine the extent to which our property market has been distorted by rogues gaming the system ? And another question , how long have these crooks been here , and how did they even get in here ? Did they enter the country on a "Business class "visa or as "investors"? I hope the Crown hands down appropriately long sentences to send a clear message to anyone who thinks they can do this sort of thing and get away with it . "Mr Narayan was sentenced to 6 months’ home detention and ordered to pay $14,000 in reparation in October 2017"
Back in China they'd harvest their kidneys. I suggest you mean the Antipodes or somewhere similarly cold. The positive outcome is these guys got caught. They think we and our systems are naieve & loose reapectively, when in fact they are based on self accountability and trust. Their corrupt governments and systems perpetuate rule breaking behaviour so when they see an open system it becomes an open season on the people of nz. Glad the govt are keeping an eye out an persecuting. Really? I reckon we are only seeing the tip of the iceberg. Plenty are hiring multi lingual people to tap into our open market without a concern on how they make there targets more rewarding them for making above targets. I'll bet anyone that these dishonest crooks were also dishonest in their immigration applications . If they cheated or lied in their immigration application , we have good grounds to deport them . We should cut our losses and instead of jailing them at taxpayers expense , simply deport them back to the place from whence they have come . If I remember correctly, NZIS was under Internal Affairs portfolio. But, National had other ideas about immigration.So John Key & his merry men ( and women, too) relocated NZIS under Ministry of Business, Innovation & Employment. So immigration is less concerned with national security as it is with the dollars that migrants can bring in. Has there been any research to see what investment benefits the so-called Investor & Investor-Plus categories of migrants have brought to the country, leave alone filing IRD returns. Immigration Service was part of Department of Labour, going back decades, before DoL was folded into MBIE during last government. The investigative and enforcement wing was cut right back.